We have received several recent inquiries about the follow up study on Dr. Mimi Tang’s peanut oral immunotherapy with probiotics trial (PPOIT), first published in 2014 (https://tinyurl.com/y83eg5an). This seems like a good opportunity to review with all of you, our patient community, where we think things stand regarding interventions for people with food allergies. The first attempts to apply immunotherapy for the treatment of allergy are as old as the application of vaccinations to infectious disease, reaching back more than a century. As applied to allergy, immunotherapy refers to an intervention, for those with established allergy, designed to induce a new immune response to the targeted allergen that protects from subsequent reactions. 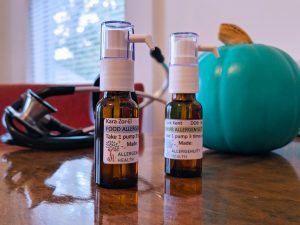 At this point, there have been dozens of studies of immunotherapy to treat food allergy, most by giving initially tiny and gradually increasing doses of the allergen every day for many months. 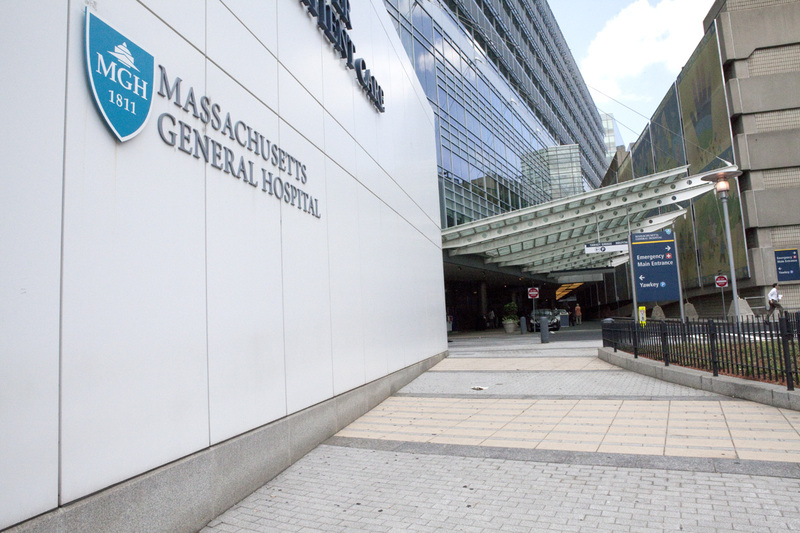 Most have been small single-center trials, including two here at MGH, but the field has slowly matured to the point that there are now two multi-center industry-sponsored phase 3 clinical trials of immunotherapy for peanut allergy as well as a multi-center phase 2 trial for milk allergy. FDA approval appears to be likely for these treatments of peanut allergy as soon as 2018. In parallel to the progress in clinical trials, though despite current recommendations by professional societies and the NIH, more and more practitioners, including allergists, are offering oral immunotherapy in clinical practice. There is more than one way to think about success in the context of immunotherapy treatment. Most patients and parents are less interested in being able to eat the food they are allergic to ad lib (remission) as they are in reducing the risk of a serious accidental reaction (protection) — though that can vary depending upon the food allergen (e.g., milk versus peanut). What the numerous studies have shown is that most individuals can tolerate the therapy, but will only achieve short lived protection. For these patients (roughly 75 percent), they must regularly eat the allergen (the usual recommendation is daily) to maintain protection. It is more challenging to study remission, as it is difficult to define in a time-limited study. Even protection that lasts over a few weeks or months of post treatment avoidance — the longest typically looked at in a research design — might eventually wane. Research shows that only about one quarter to one third of patients will achieve the desired outcome of a more durable benefit. In Dr. Tang’s study, 56 patients who had been evenly divided between receiving either placebo or a combination of peanut OIT with probiotics were contacted about 4 years after completing the initial trial. The goal was to see how many were still eating peanut. Of the original 56, 48 individuals participated in this follow up, and of those, 16 of the 24 who received active treatment were eating peanut. Only 1 of the 24 who received placebo treatment was eating peanut. To get a sense of how stable their tolerance is (protection versus remission), the 16 individuals eating peanut were invited to once again strictly avoid peanut for 8 weeks and then undergo a food challenge test. Of the 12 who agreed, 7 could fully tolerate peanut after the 8 weeks of avoidance. Research is voluntary, of course, and people can have all sorts of reasons for not participating. However, the most rigorous and appropriate way to evaluate the results of a clinical trial is a sort of worst-case scenario called intention-to-treat analysis (https://tinyurl.com/jqtxzo9). Because a very important reason people may not participate is that they did not do well, this analysis assumes that when the data are missing, the treatment failed. By this conservative approach to analysis, the results of the PPOIT study are essentially the same as we have seen from other OIT studies generally: 16 out of 28 participants (~60%) achieved protection and 7 of 28 (25%) achieved remission. Even if we assumed the most generous assessment, that 16 out of 24 (66%) achieve at least temporary protection, this is hardly what we would consider a ‘cure’, despite numerous headlines (e.g., https://tinyurl.com/ycgbfp3t). Another way to evaluate the efficacy of this trial is to ask whether allergic reactions were prevented. In PPOIT, the results were that for over the more than 4-year follow-up period, 4 patients treated with PPOIT experienced 11 reactions and 6 patients treated with placebo experienced 9 reactions. Importantly, this study did not include a treatment arm of peanut oral immunotherapy alone, without the addition of probiotics, which unfortunately leaves us unable to say whether the additional probiotics had any impact on outcomes. Most of my colleagues from around the country and I believe that oral immunotherapy is and will be helpful for many individuals, but we also worry that through the lens of sharing stories on social media and by way of often over-exuberant news media, this therapy enjoys an undeserved shine. There are many reasons for us to want to treat OIT as more than it is. We each have a natural bias toward positive stories, and there is much over diagnosis of food allergy —and subsequent “curing”—among people who are not truly allergic. Those of us who see patients with allergies also worry that many people overestimate the risk and burden of managing food allergies by avoidance, while at the same time underestimating the risk and burden of receiving oral immunotherapy treatment. It is inherently difficult to make a choice that feels passive and wait for more definitive answers when we want to be pro-active. An active treatment like immunotherapy satisfies that desire. Since the Food Allergy Center was established at MGH in 2010, we have supported the current recommendations regarding immunotherapy. Specifically, that more research was needed before immunotherapy should be regarded as a justifiable option for use in every day clinical practice. Now, in 2017, the paradigm is shifting, the use of immunotherapy is supported by more evidence and we believe that outpatient practice is a more justifiable option for patient management. Despite the reservations articulated above, and as more studies have demonstrated at least limited efficacy, we recognize that patients and their families can, should and are weighing the benefits and risks of OIT and deciding for themselves. Though we anticipate FDA-approved options for the treatment of peanut in the next 1-2 years, we acknowledge that it will take many more years for approval of each major allergen treatment and that many patients have multiple allergies. Furthermore, the willingness on the part of many insurers to now cover this service has lowered financial barriers for our patients and families. Given our extensive experience in conducting oral immunotherapy trials since 2010, we believe that the FAC@MGH is in a strong position to offer this therapy safely, supported by rigorous pretreatment diagnosis and appropriate education about the benefits risks and burdens associated with this treatment modality. If you would like to join that discussion to offer your perspective, we invite you to do so by emailing us at foodallergy@mgh.harvard.edu. Please follow us here for updates on our plans to offer immunotherapy and educational programs around it in the coming months. * Note: Dr. Pistiner has previously published on this site. I don’t have to tell readers of this website about the heartbreak and anxiety of food allergies. 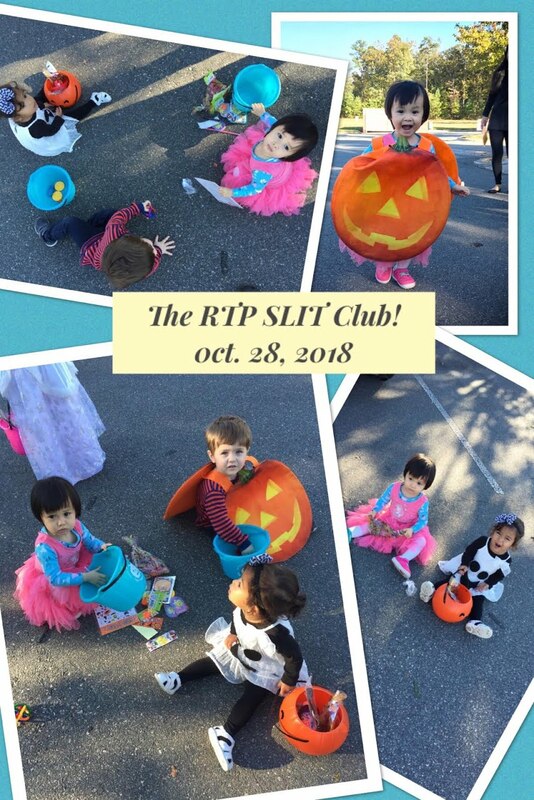 The Lucile Packard Children’s Hospital at Stanford houses the Stanford Alliance for Food Allergy Research (SAFAR) the only research center on the West Coast conducting oral immunotherapy (OIT) trials, often in concert with other centers east of the Rockies. We are the focal point for the hopes of thousands of children and families for relief from this evolutionary mistake, this maladaptation, in which the body’s own immune system turns against us. My colleagues and I take these hopes very seriously. The demographics of food allergy ought to alarm anyone concerned with the health of future generations. Food allergies are emerging in alarming numbers of children under three. While many of their elders might continue to dismiss them as marginal “nuisance” diseases that can only be managed, not cured, children’s food allergies, like other chronic illnesses, have life-long behavioral and learning consequences as well as physical ones. When the clock starts ticking at age three, the cost in quality of life can be high. The SAFAR network of physicians and scientists is working across multiple disciplines to achieve what we all hope for most: a cure. Our current research is promising! The families who turn to us for treatment of food allergies and related disorders every year offer the unique opportunity for research and clinical studies that could lead to new insights and the development of novel therapies. We are carrying out clinical food immunotolerance studies, including oral immunotherapy for milk and peanut allergies and research in eosinophilic esophagitis, a commonly associated inflammatory disorder of the esophagus. We are also the only center in the country to offer clinical research studies to patients with multiple food allergies. For example, in the spring of 2009, we conducted a study using a course of treatment I developed in immunotolerance, where individuals with severe food allergies consume minute doses of the allergens, and then gradually increase the dosage as they build tolerance. This study included 21 children between the ages of 6 and 13. Today, every one of the study participants is desensitized to the allergens—that means that they can eat the foods that in the past were considered life threatening. More recently, we have been pursuing treatment courses in immunotolerance that are aimed at making immunotherapy accessible to more children. 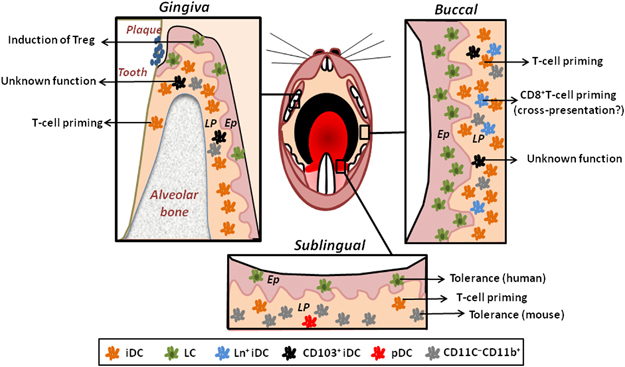 However, while the expansion of immunotherapy to food allergens is an almost miraculous prospect, we also need to look at how this maladaptation comes about. If immune disorders such as allergies are responses to changes in the way our bodies interact with the environment in the gut, the lungs, sinuses, and skin, it is critical that we understand the mechanisms involved. It makes greater public health and financial sense to treat the root causes in addition to treating the disease. While OIT may look like magic to families that already have food-allergic children, it still requires years of commitment and money. That is why I would like to discuss another area of research* I have been involved with in which we have already uncovered a cause-and-effect relationship between an environmental trigger–ambient air pollution (AAP)–and an allergic disease—asthma. Asthma is the most frequent chronic disease in children. You may be familiar with the term epigenetics. This involves not the characteristics encoded in the DNA but rather the “expression” of those genes, i.e. when and how they reproduce themselves in different cells throughout the body. A process called DNA methylation decreases expression and function of genes, most pertinently for our purposes, a gene called Foxp3, which is key to the work of so-called Regulatory T (Treg) cells. These “peace-keeping” cells prevent excessive immune responses. Children lacking Foxp3 have greater incidence of severe allergies, asthma, gastrointestinal disease and type-1 diabetes than those with normal Foxp3. Because AAP exposure can induce epigenetic changes we hypothesized that Treg-cell function would be impaired by high levels of air pollution, amplifying the inflammatory response. 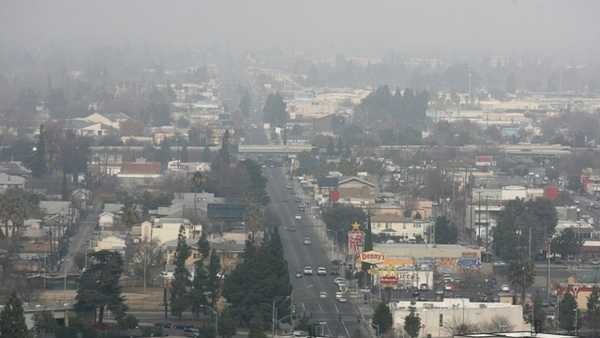 Children with and without asthma from Fresno, California, which has high levels of black carbon air pollutants, were compared with those from Stanford, California, which has much cleaner air. We used peripheral blood Treg cells in functional and epigenetic studies. Asthma severity was assessed by a score derived from criteria in the Global Initiative for Asthma. Foxp3 was measured in respect to genetic expression, Treg-cells function and asthma-symptom score. We found that increased exposure to AAP is associated with hypermethylation—suppression–of Foxp3. 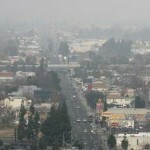 The gene was there but, as predicted, it wasn’t working fully because of the chemical assault by pollutants. In all 3 measurements, Foxp3 expression was lowest for the Fresno-asthmatic group, next lowest for Fresno non-asthmatics, higher for Stanford subjects with asthma, and highest for the Stanford group without. In other words, air pollution alters genetic function so that the immune systems of non-asthmatic children begin to mimic those of asthmatic children, and already-asthmatic children get worse. If, as has already been proven in other research, these epigenetic changes can be inherited by the next generation, it would account for the increasing severity of allergic disease from one generation to the next that we have seen in the past few decades. We have found that if one parent has an allergy of any kind, their child may have a 65% chance of developing an allergy. If both parents have allergies, the likelihood can climb to as high as 85%. The science is moving as fast as our funding will allow. This relationship between a form of pollution and an impaired immune system leads us to think that other environmental links can be found. We may well find that food additives, antibiotics, climate change, and the rest of the usual suspects are indeed contributing to the epidemic. Actually doing something about it will require an extraordinary cooperative effort. Finding cures for both effects and causes is becoming increasingly urgent. 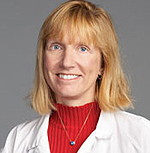 Dr. Nadeau is Associate Professor, Stanford Medical School and Lucile Packard Children’s Hospital Division of Immunology and Allergy. 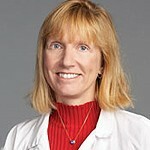 Director of Basic Science and Clinical Research of SAFAR (Stanford Alliance of Food Allergy Research). Chief Investigator for all food allergy studies at Stanford. Journal of Allergy and Clinical Immunology. 2010 Oct;126(4):845-852.e10. Nadeau K, McDonald-Hyman C, Noth EM, Pratt B, Hammond SK, Balmes J, Tager I. Food allergy has become a major health problem in westernized countries, now affecting approximately 3.5% of the U.S. population, or about 12 million Americans, and is the leading single cause of anaphylaxis treated in U.S. emergency departments. The standard of care for dealing with food allergies has been to educate patients and their families how to avoid allergenic foods and to recognize and treat allergic reactions if they have an accidental ingestion. In the past 5 years, there has been a growing interest in oral immunotherapy (OIT) for treating food allergy, a practice that was first reported in The Lancet over 100 years ago in an article called “A case of egg poisoning” [Lancet 1908; 1:716]. Considerably more recently, several small clinical trials of OIT for milk, egg and peanut allergies have yielded some promising results, and some practicing allergists have even begun using OIT to treat food-allergic patients. I certainly can’t fault the desire of patients and patients’ parents to seek relief from the difficulty of managing a severe food allergy (and who pay for these treatments out of pocket). However, I wish to caution that widespread adoption of any OIT methods is premature, and may lead to crushing the hopes of patients, and worse. Three carefully conducted scientific reviews* of trials have raised serious questions about OIT’s effectiveness, safety and long-term benefits, with the most recent concluding that “the overall low quality of evidence leaves important uncertainty about anticipated effects of immunotherapy due to very serious imprecision of the estimates of effects and the likelihood of publication bias for some of the critical outcomes.” In other words, we can’t judge on the basis of these trials whether it’s really working or not, or whether some researchers are getting the results they want instead of what the data really shows. Our understanding of the underlying immunologic changes brought about by OIT is very limited and published reports provide inconsistent results. OIT appears to induce “desensitization,” or a clinical state in which the quantity of food required to trigger an allergic reaction is raised while on therapy, in most patients. “Tolerance,” or the long-term loss of allergic reactivity following the discontinuation of therapy, i.e. “a cure,” has been reported in some OIT trials, but most of these trials lack the appropriate controls. Different treatments follow different protocols, creating apples-and-oranges comparisons. In some cases, we can’t distinguish whether improvements with milk are the result of the therapy or whether a child is merely outgrowing the problem, as happens with milk allergies about 80% of the time. In fact, the only OIT trial to date stringently controlling for the natural development of tolerance in food-allergic children failed to find a difference in outcome between treated and control subjects. In spite of the reservations my colleagues and I have, there are many instances of what we might call “retail OIT” being offered by some practicing allergists. The history of medicine is replete with examples of how premature adoption of new techniques can go wrong. Drugs and technologies that showed “no harm” in trials have often proven to be problematic as they made their way into wider use. We are nowhere near that regulatory threshold with OIT. Furthermore, administering an experimental therapy creates management problems. Even in a research setting, patients must endure much of the discomfort and reactions that make food allergies a problem to begin with, necessitating a good deal of after-hours support and encouragement; do OIT doctors provide that? And while I trust my fellow allergists to treat emergencies, proliferation of unproven therapies creates more and more probability of mishaps. How long before a patient who believes himself “cured” suffers because he has ignored elementary precautions? 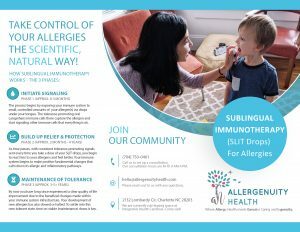 At this time, oral immunotherapy should be considered a promising experimental treatment for food allergy, but proper well-controlled trials are needed to demonstrate that it is safe and effective before the FDA will approve it for general use by practicing allergists. 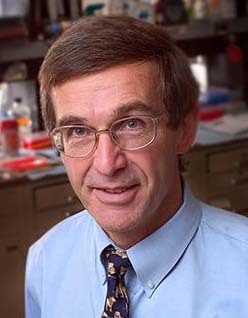 Dr. Sampson is the Kurt Hirschhorn Professor of Pediatrics and the Dean for Translational Biomedical Research at the Mount Sinai School of Medicine in New York, and the Director of the Jaffe Food Allergy Institute at the Mount Sinai Medical Center. 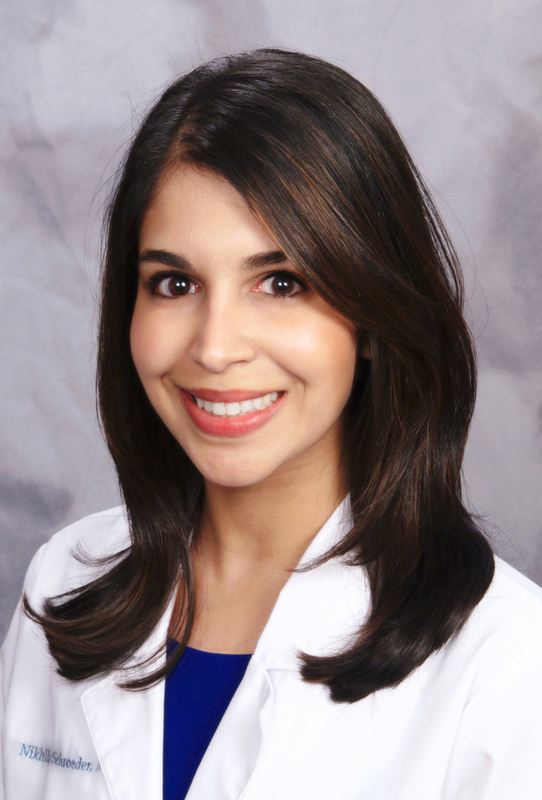 Dr. Sampson’s research interests and publications have focused on food-allergic disorders including the immunopathogenic role of food hypersensitivity in atopic dermatitis and anaphylaxis, characterization of food allergens, and immunotherapeutic strategies for treating food allergies. His research has been funded continuously by a number of grants from the National Institutes of Health and private foundations. Dr. Sampson is the principal investigator of the NIH-sponsored Consortium on Food Allergy Research and an AADCRC program project conducting a number of clinical trials investigating novel therapies for the treatment of food allergy and investigating basic immunologic mechanisms. 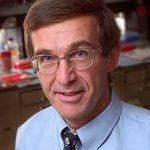 He has published over 350 articles and 60 book chapters on food-allergic disorders and co-edited four books, and was elected to membership in the Institute of Medicine of the National Academies in 2003 for his research on food allergies. Dr. Sampson is past chairman of the Section on Allergy & Immunology of the American Academy of Pediatrics and past president of the American Academy of Allergy, Asthma and Immunology.